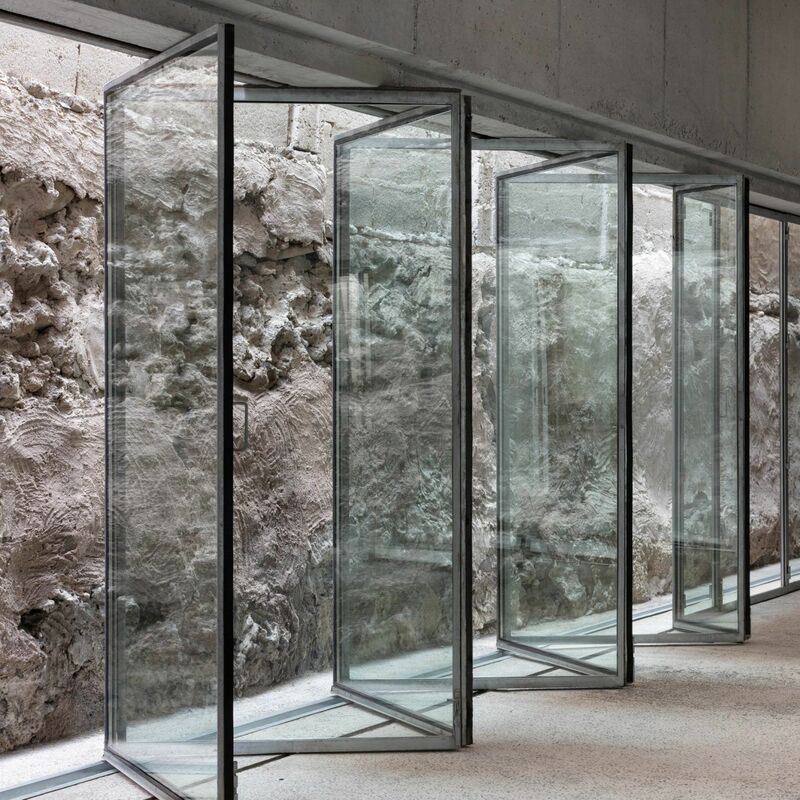 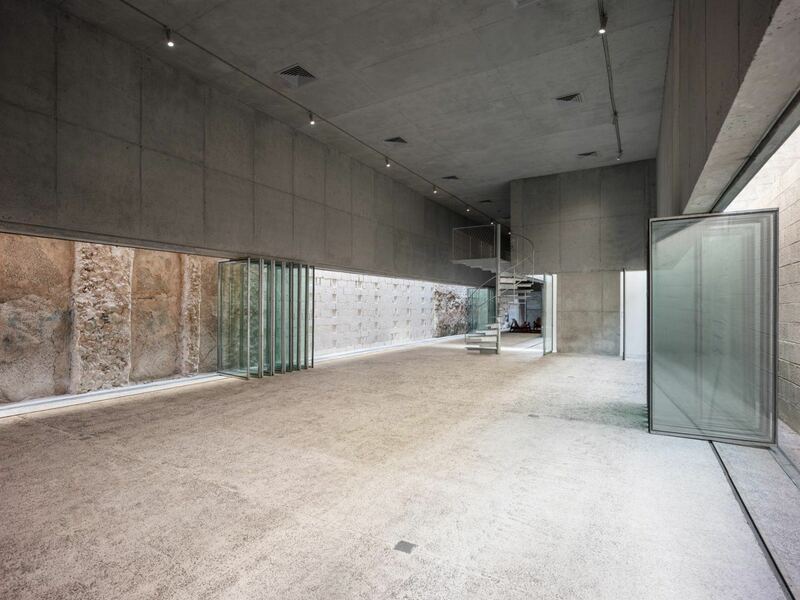 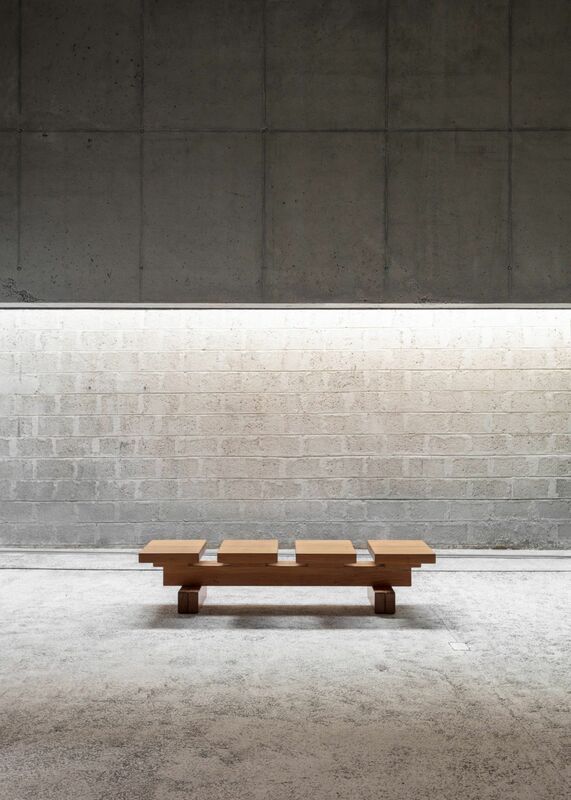 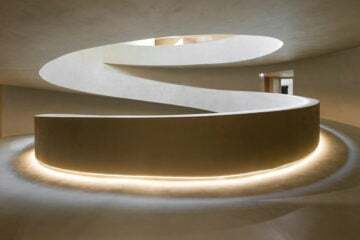 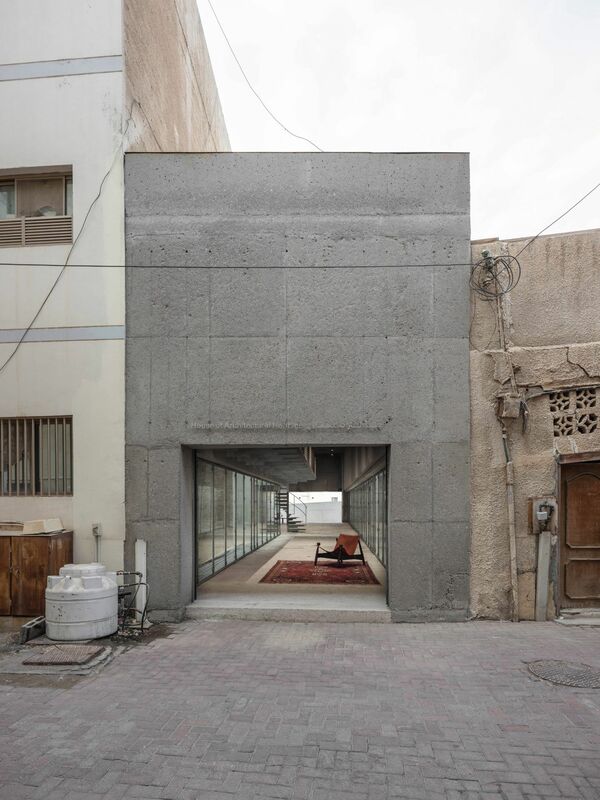 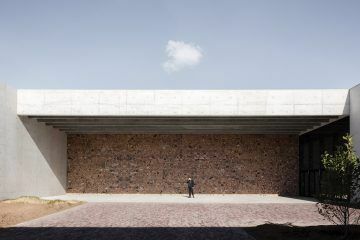 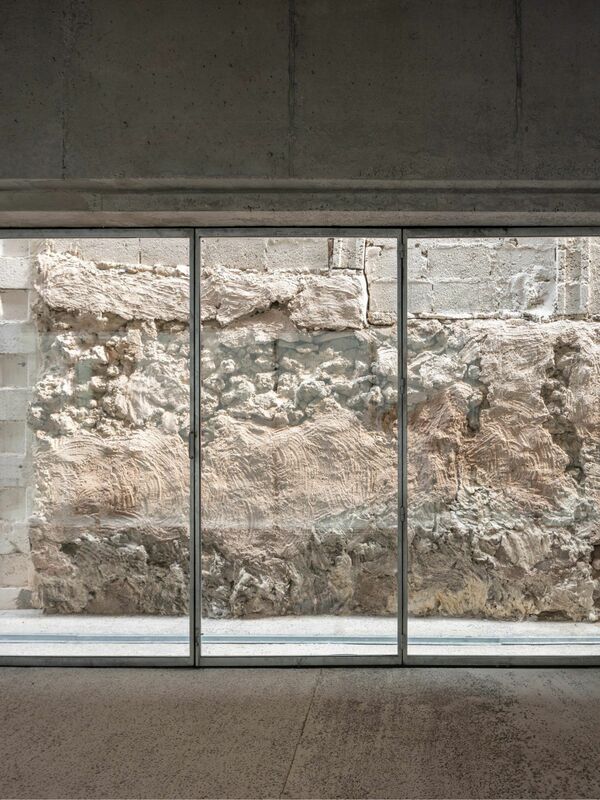 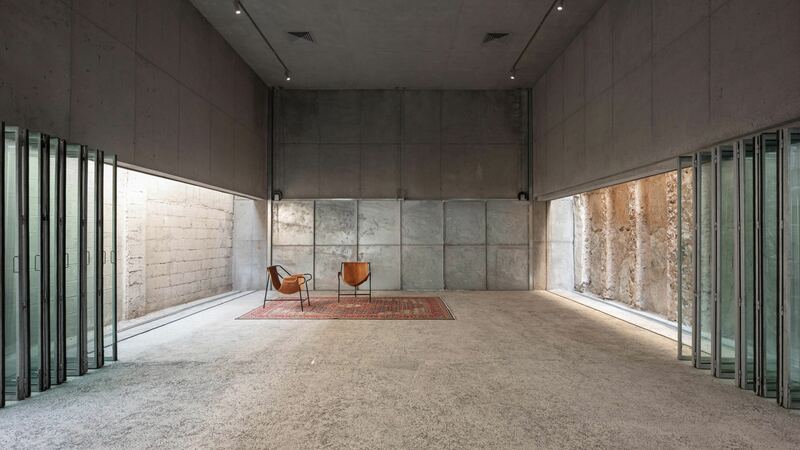 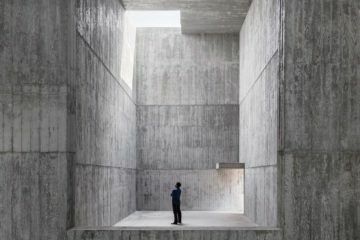 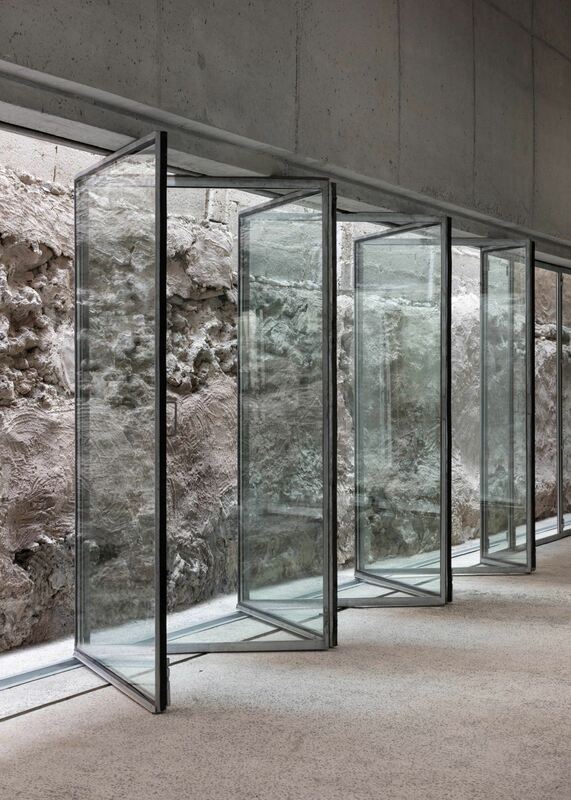 A concrete and glass-walled exhibition space in Muharraq, Bahrain, was brought to life by curator-architect Noura Al Sayeh Holtrop and firm Leopold Banchini Architects, as a perennial gallery that encourages the public’s interaction through its design. 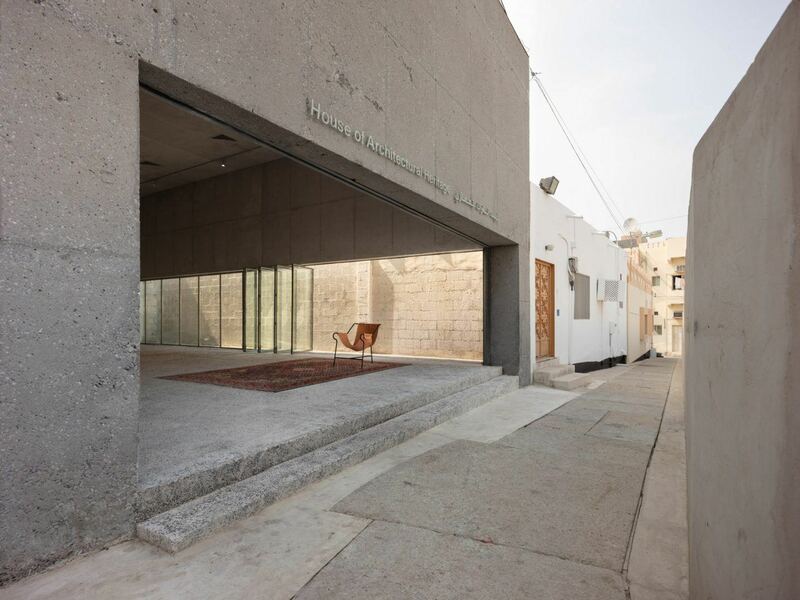 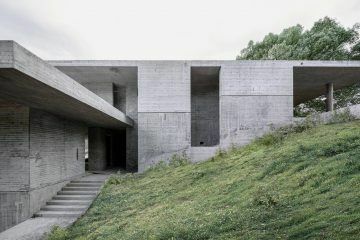 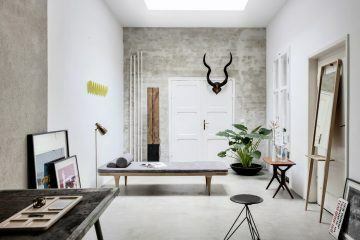 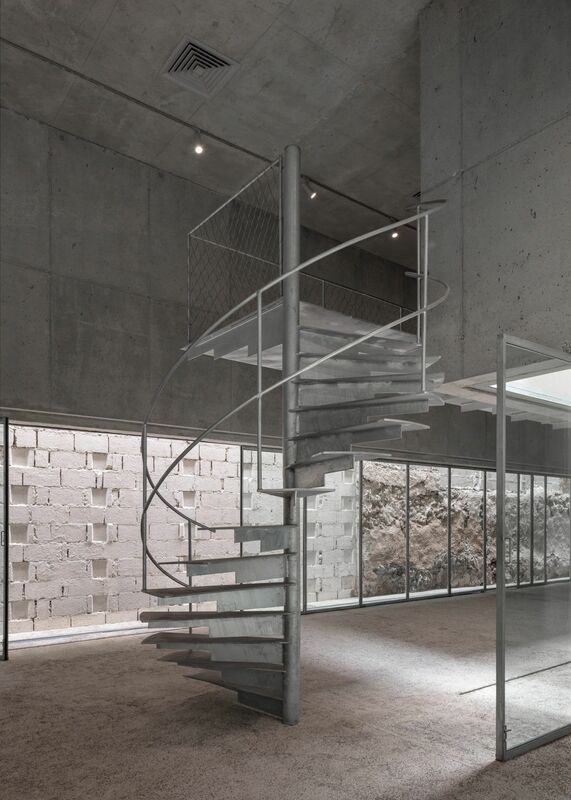 The ‘House Of Architectural Heritage’ is a minimal, contemporary addition to the neighborhood; its reinforced concrete facade stands out from the earthy tones and rough textures of nearby properties. 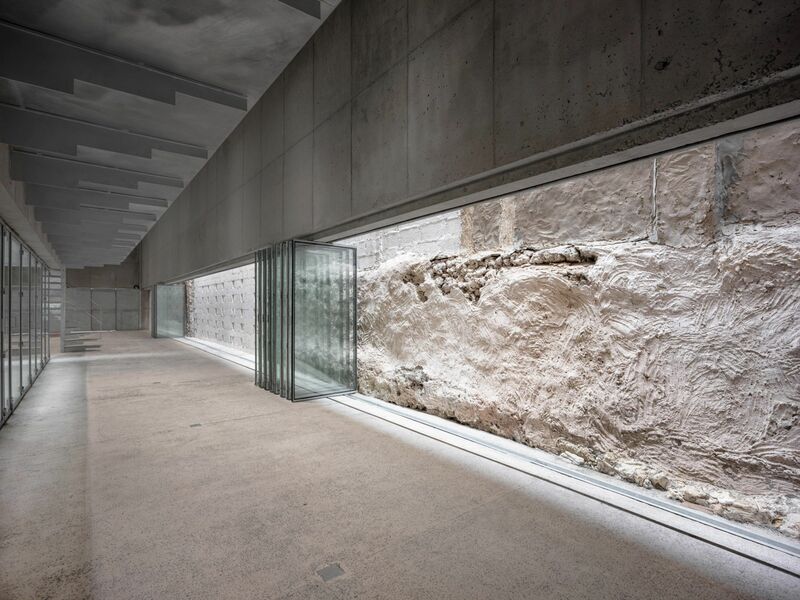 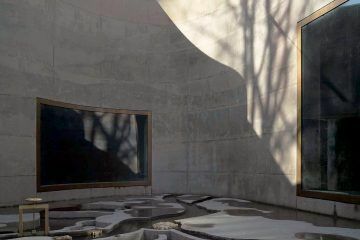 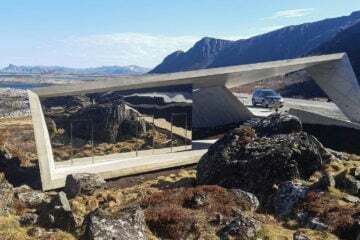 A 26 meter reinforced concrete beam spans the length of the “The project is conceived as a beam structure that frames the existing adjacent walls of the two neighboring buildings”gallery, which allows the glass walls to open out completely, doubling as a public passageway for passers-by. 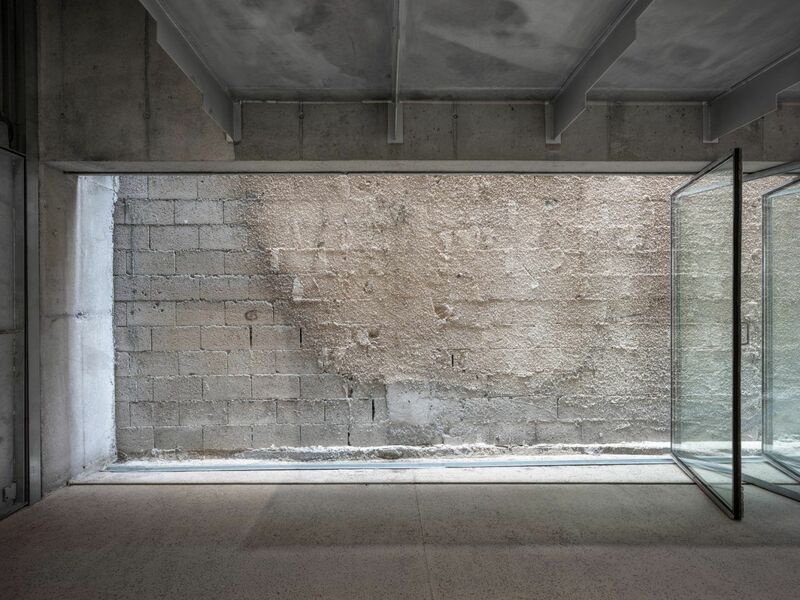 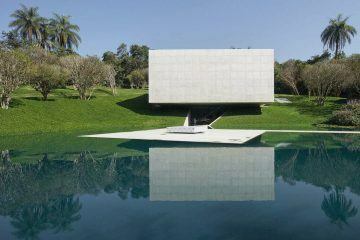 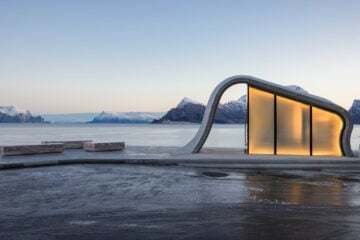 The design lets visitors experience the neighbor’s facades as part of the exhibit. 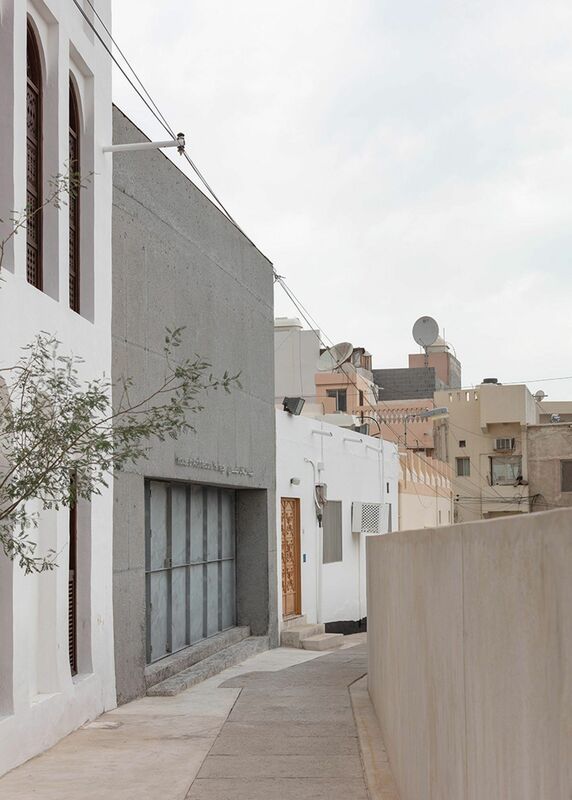 The gallery space encompasses the archives of architect John Yarwood, a leading documenter of Muharraq’s architectural heritage during the 1980s. 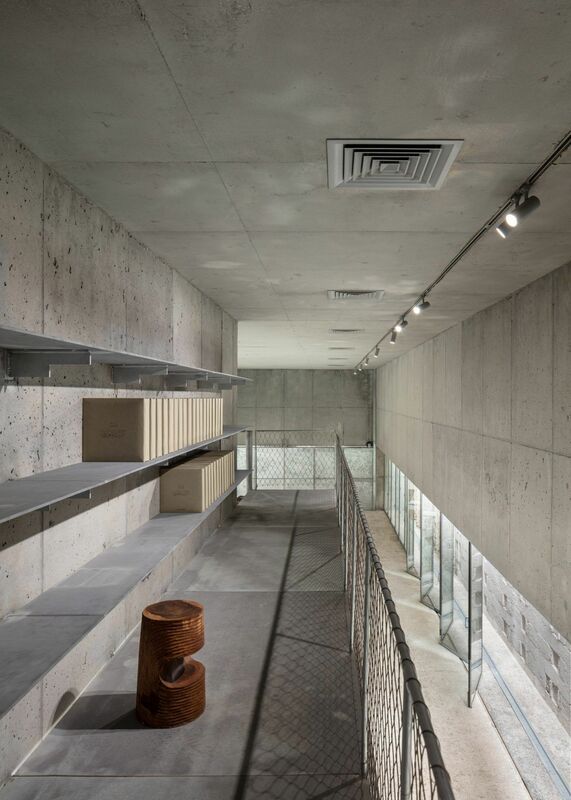 Alongside this display of sketches and drawings is a small architecture library and exhibition area. 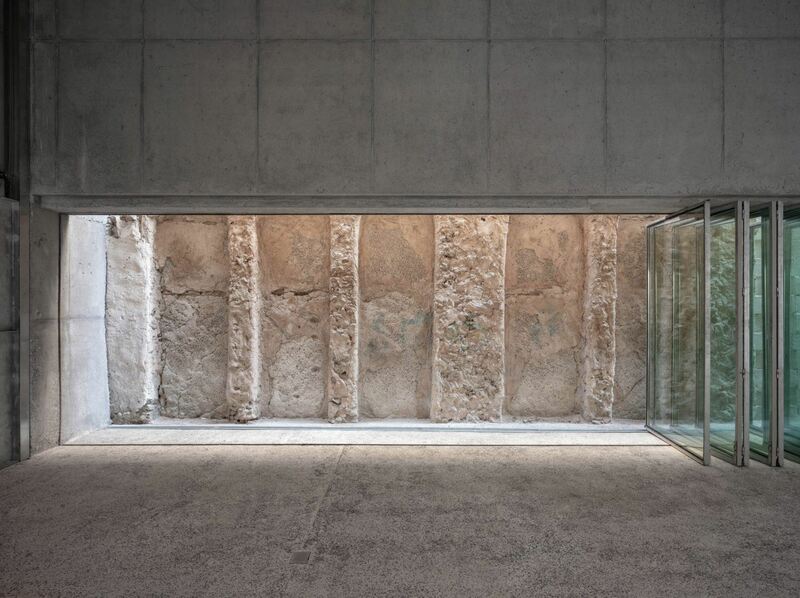 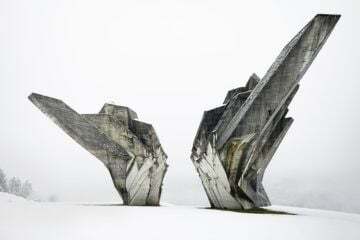 “The project is conceived as a beam structure that frames the existing adjacent walls of the two neighboring buildings”, the architects explained in a statement, “serving as a showcase for the architectural heritage of the city, the old as well as the new”.